Building a successful e-commerce website isn't just about great web design. It's also about ensuring the site is built in a way that encourages visitors to convert into customers, and about choosing an e-commerce platform that is both easy to use and can scale to meet the demands of complex and high volume business. 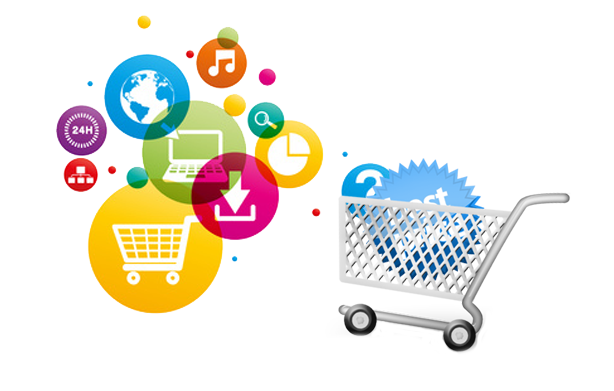 Webfuel has experience of building many successful e-commerce websites. Our e-commerce websites have generated millions of pounds in revenue. We understand what is required to attract and retain customers and to ensure that customers aren't put off from purchasing by many of the common e-commerce pitfalls. If you're considering starting a new e-commerce business, or have an existing e-commerce website that you are considering replacing please give us a call on 01509 852 188 to discuss your requirements. Our e-commerce framework is built with mobile in mind, from purchase, to checkout, to payment gateway. When we build your website you won't lose valuable customers due to a poor mobile experience. Our e-commerce websites include a wide range of features to help you win and retain customers including customer accounts, discount codes, vouchers, newsletter signup, & more. Give your customers the choices they want. We support authenticated and anonymous checkout, and multiple payment gateway providers out of the box. Let customers choose to pay by Credit Card or PayPal. With our easy to use visual designers you can create and modify your own delivery costs rules, and change delivery costs based on a range of factors including weight, postcode and special items. Our back end order management system allows you to enter orders quickly and easily using the same rules as the front of the website. Easily record phone orders on your website and keep everything in one place. We make sure we understand what you want, and what your business needs. We don't try to fit every business into a single off-the-shelf platform, but instead we deliver a solution that is tailored to your requirements.